I would like to list information from all of our clubs and post them to the website. Please email Ray Zeh at raymondzeh@cisbec.net and let him know this information. I will be out of State, studying birds in Michigan. You could also wait for my return in August to submit information. When you do receive the newsletter via email or view it on the web, email it to interested parties to encourage involvement. News on events, legislation, hunter education, and more is constantly being updated to the website. Remember, many of our members can't make it to the monthly meeting; this newsletter is your way of communicating with them. President Ray Zeh called this months meeting to order at 19:14 with a salute to the American flag. Donna Olsen announced the Festival Farmers Market with a brief description. The bulk of the meeting consisted of SUNY Cobleskill student project presentations. This was part of the review process for the Dorwin Hamm Scholarship offering. Kevin Berner expresses sincere gratitude for the philanthropic gestures made by the SCCA on behalf of SUNY Cobleskill. 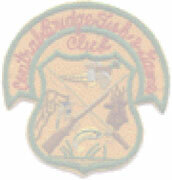 Such generosity is rare and the Professor was clearly moved by the support and encouragement provided by the SCCA, its member clubs and especially White-tails Unlimited, the West Fulton and Middleburg Rod & Gun Clubs. The Festival offers locally grown produce and meats. Donna suggested speakers attend to speak about local topics. Suggestions include Senators & Assemblyman, DEC & SUNY speakers on local history, wildlife, and/or Walleye and fisheries. &Mac183; The Market in Cobleskill opens on Saturdays beginning July 17th and on Wednesdays beginning on July 28th. &Mac183; Special events include Dairy & Berry Celebration & Herb Fest Centre Park in Cobleskill from 10 a.m. to 2 p.m. on June 19th. &Mac183; All events are free. Rain or Shine. &Mac183; For more information call 518-284-2609. &Mac183; SUNY Cobleskill, Dorwin Hamm Scholarship: It was decided that recipients must give presentations of their projects. The next meeting will be devoted to review of these presentations. Money for three more scholarships was discussed. Possible sources included the donation of $6,000 in skins. &Mac183; Club Delegates (Annual Dues): All members who have email access should contact us in order to save money on postage. &Mac183; Fish Diary: Angler Diary Cooperators for all waters will be issued a diary where all trip and catch information can be recorded. All diaries will be returned to the cooperator along with an annual summary of results prior to the start of the 2005 fishing season. In order to participate in the East Branch, West Branch, main Delaware River, Pepacton Reservoir, Cannonsville Reservoir and Otsego Lake Angler Diary Programs, please contact NYSDEC, Fisheries Unit, by mail at Route 10, Stamford, NY, 12167, or by phone at (607) 652-7366. &Mac183; Website update: Updates will continue to add current news and information. Member Clubs should submit material for posting in electronic format. http://www.schoharie-conservation.org/. &Mac183; Antler Resolution: Three counties have cooperated on the Resolution which calls for the 3 on a side rule. Pennsylvanias program has produced larger deer after 3 years. &Mac183; Dorwin Hamm Scholarship Presentations: These presentations will be on the website soon. o Casey Michasiow & Ryan Santos: They have begun a large project, which details the composition of Panther Creek. The presentation showed areas they have covered thus far in the ongoing study. They have used electro-shocking techniques to survey the fish and will determine what trout population the creek will be able to sustain. They will provide recommendations once the study is complete. They have also done extensive records research to draw comparisons between this projects results and those which were last done many years ago. o Ethan Duke: I presented my project of building the SCCA website. This also included the work I have done on the web for the Wildlife Society and a study site for my SUNY Fish and Wildlife colleagues. As secretary, I have maintained good contact as well as insight into all that is accomplished by the SCCA. I as well as my colleagues have been honored to contribute to an organization concerned with the community and its involvement with the conservation of the natural resources of Schoharie County. We look forward to working with you all in the future. &Mac183; Fry Ponds Project: Mark Cornwell of SUNY Cobleskill expressed the need to build ponds for fry. Ponds .5 acres, 6 feet deep, rectangular, and drainable are required for these purposes. Each pond could produce 5,000 fingerlings. By supplying the walleye with fat-head minnow for an additional amount of time, larger fish (8 inches) could be produced. A motion was made to accept the project of building a couple ponds was passed. We need to coordinate with local construction companies to see who would be willing to assist in this worthwhile project. For further information contact Mark Cornwell at cornwemd@cobleskill.edu. &Mac183; Cross-bows: It was decided that the community supports cross-bow use. &Mac183; Early Youth Season: After discussion, it was decided that we will support the early youth regular season. &Mac183; Bear Season: We also feel that the bear population is at a point were opening a season would be beneficial. &Mac183; Trout Stocking: Fish were hand carried by SCCA members and 4 SUNY students. Many nice large trout were stocked. People were catching them over the weekend. Much thanks to the Hatchery. Photos are on the website. o On May 11th stocking will take place in the Upper Reservoir. &Mac183; SUNY Fish & Wildlife Festival: Arrangements were made to set up the booth and it was mentioned that there was more time to sell tickets. A motion was made and approved to by 8 sheets of plywood for displays at this and other public showings. Middleburgh The Fishing Derby will take place on May 22nd. A 3-D target shoot is in the works for this all summer. Dylan Foland has been using medicine and the marrow transplant has not been needed. Whitetails Unlimited The banquet has been scheduled for September 26th at the Best Western. 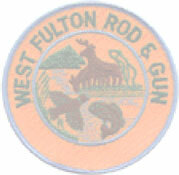 West Fulton Has meetings Scheduled for the1st Tuesday of each month at the Firehouse. COBY Fish & Game: No report. Schoharie County Jeep Club: Contact information has been posted on the website.